Transitional justice in Colombia also for politicians and businessmen? Transitional justice in Colombia also for military, politicians and businessmen? Former Colombian President Cesar Gaviria over the weekend proposed to include civilian actors like businessmen and politicians in a transitional justice program in the event the country’s 50-year conflict with rebel group FARC comes to an end. The guerrilla group and the government have been engaged in peace talks that would likely include amnesty for guerrillas who decide to lay down their weapons and reintegrate into society. The possibility for amnesty has raised the alarms with members of conservative opposition party Democratic Center who have said that amnesty for guerrillas would constitute impunity. According to Gaviria, the opposition’s resistance to amnesty for the FARC is understandable as it has been unclear whether for example members of the military would be paying a full prison sentence. When the paramilitary group AUC demobilized between 2003 and 2006, members of that organization enjoyed judicial benefits that granted full amnesty to lower-ranked fighters. However, members of the military and politicians who had worked together with the paramilitaries received sentences up to 40 years in prison. These former public and elected officials “did not have access to any of the dispositions of the Justice and Peace law” that allowed paramilitary fighters and commanders reduced or suspended sentences in return for collaboration with justice, clarifying truth and victim compensation. “If the paramilitary bosses, who undoubtedly have incurred in serious crimes against humanity, were treated with lenient standards, it is only fair that non-combatants receive clemency in return for the crimes they committed,” the former president said in an opinion piece in newspaper El Tiempo. 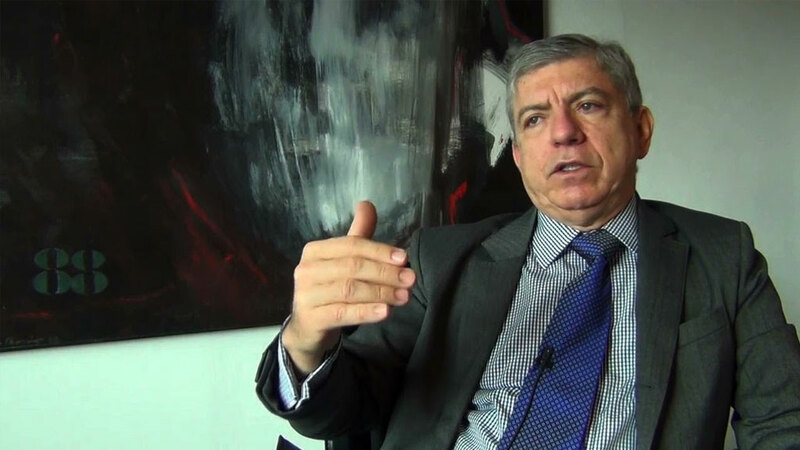 Gaviria fears a wave of indictments once a Truth Commission has established the responsibility of businessmen and politicians with ties to either the AUC or the FARC. A historic report released last week revealed how current powerful opponents of the talks like former President Alvaro Uribe and wealthy landowners are vulnerable to prosecution because of their involvement in the armed conflict. Additionally, a Medellin court ordered the criminal investigation of Uribe over his alleged complicity in a massacre in 1997 when he was governor of the northwestern Antioquia state. At the same time, the Colombian military is suspect in thousands of court cases over members’ complicity in the killing of civilians who were later reported as combat kills, a scandal that implicates both Uribe and President Juan Manuel Santos, who was defense minister during the military killings. Gaviria’s proposal was received positively by both the governing coalition and the leftist opposition in Congress. Congress President Jose David Name, a prominent member of Santos’ coalition U Party, said Gaviria’s plans were “positive” and “open the debate” about transitional justice which is currently being negotiated with the FARC. “Colombia needs a lasting peace for everybody. In this spirit, the military like civilians need to have the same guarantees that are being deliberated for guerrillas,” said Name. The leader of the coalition Liberal Party in the Senate, Horacio Serpa, said to be “in agreement” with his party member. “There is no doubt this is a solid and open-minded analysis that will set the standard of the debate in which we Colombians will have to reconcile,” the coalition Conservative Party Senator Hernan Andrade said. Leftist opposition Senator Ivan Cepeda, also a representative of victims of state violence, said he was “positive” about Gaviria’s proposal. “It is evident that political actors and businessmen, not just fighters, have carried a responsibility in the war,” said Cepeda.